BEST DIRECTOR: With the Best Picture race all over the place, the directors’ club is lining up its top contenders in the category. The easiest route is to assume the top BP frontrunners will line up with the BD counterparts, which I’m thinking is a good assumption at this stage. With Paul Thomas Anderson (The Master), David O. Russell (Silver-Linings Playbook) and Ben Affleck (Argo) cementing themselves as near-locks, it seems the final two slots are still up for grabs. And a lot depends on how their respective films land. 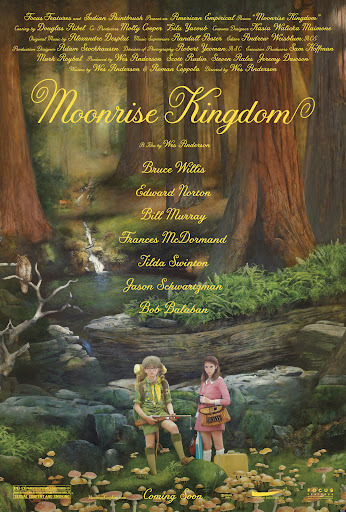 Wes Anderson (Moonrise Kingdom) and John Madden’s (The Best Exotic Marigold Hotel) films have arrived and are proportionate successes, though they’d need BP nods to make it here. And Benh Zeitlin (Beasts of the Southern Wild) may have an uphill battle with the recent SAG announcement to do with his film. Other possibilities hanging ’round are the major leaguers – Christopher Nolan (The Dark Knight Rises), Joss Whedon (The Avengers), Peter Jackson (The Hobbit) and Quentin Tarantino (Django Unchained) – the latecomers – Juan Antonio Bayona (The Impossible), Sacha Gervasi (Hitchcock) and Gus Van Sant (Promised Land) – and the foreign helmers – Michael Haneke (Amour), Martin McDonagh (Seven Psychopaths) and Ben Lewin (The Sessions). But here’s where I see it as of now. BEST ORIGINAL SCREENPLAY: While PTA’s The Master is tops on the list of many predictions, I’m sitting pretty solid with the Wes Anderson/Roman Coppola-written Moonrise Kingdom as frontrunner, for a nomination at least. This is the category that has honored such surprise hit comedies as My Big Fat Greek Wedding and Bridesmaids – seems only fitting that Moonrise leads the likelihood pack. Coming up quickly in the buzz fest are Ben Lewin’s The Sessions, John Gatins’s Flight, and Martin McDonagh’s Seven Psychopaths. Aside from the most obvious choices, what of the quiet forces that could play a role with the right campaigns – such as Nicholas Jarecki (Arbitrage), Craig Zobel (Compliance) and Seth MacFarlane/Alec Sulkin/Wellesley Wild (Ted)? Perhaps voters are looking to honor their newest host. Plus commercial successes on several scales abound – Andrews/Purcell/Chapman/Mecchi (Brave), Reid Carolin (Magic Mike) and Rian Johnson (Looper). But here’s where I think the predictions line up at the moment. 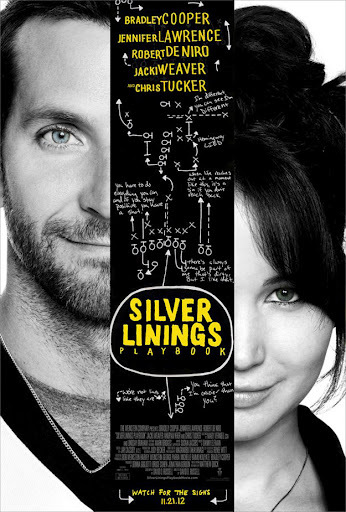 BEST ADAPTED SCREENPLAY: Like most other categories, Silver-Linings Playbook is leading the crowd rather handily here. But with Argo looking to make a solid category sweep as well, it’ll maybe be a two-way race for the win. But what of the fellow nominees? Big-namers Tony Kushner (Lincoln), Tom Stoppard (Anna Karenina), Walsh/Boyens (The Hobbit), the Nolans (The Dark Knight Rises), Penn/Whedon (The Avengers) and John Krasinski and Matt Damon (Promised Land) could prove forces in the race. Plus hit films lauded for their writing, including Lucy Alibar and Benh Zeitlin’s Beasts of the Southern Wild and Michael Bacall and Jonah Hill’s 21 Jump Street, could fare all right – though both seem like they’d be more likely prospects in the original counterpart of this category.